This picture originally posted almost a year ago has been a hot item in internet searches today. Why is that? Do you know something I don't? 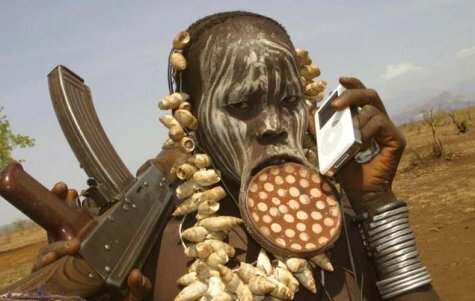 Great photo entitled "Female member of Mursi tribe in Southern Ethiopia" -- a woman with an AK47 and an iPod.